I am the youngest veteran of the Spanish Civil War, born in Barcelona on July 18th, 1930. “Veteran”? Yes. Not a combatant, but a child that together with his mother and brothers survived the fascist Italian and Nazi bombings of Barcelona. My Greek father, who was a naturalized U.S. citizen, and working at Lykes Brothers Steamship Company, was grateful to arrange our departure from Barcelona in early July 1937. We emigrated to the U.S., arriving in August 1937. All of our family in Barcelona were anti-fascist, and one of my mother’s brothers who was in the UGT militia, later integrated into the unified Republican army, was taken prisoner in northwestern Catalonia in January 1939, and was sentenced to death. It was thanks to my father’s close friend, the Consulate General of Greece in Barcelona, who got my uncle’s death sentence reversed, that he was instead sentenced to 10 years in prison. He was very lucky. The whole world knows about the Nazi bombing/obliteration of the undefended Basque town of Guernica in 1937. But very few are aware of the Nazi naval squadron’s bombardment of the small Mediterranean town of Almeria, in “reprisal” for Republican aircraft having dropped a bomb on the Nazi warship Deutschland, offshore Ibiza, and was fired upon by the warship’s anti-aircraft guns. 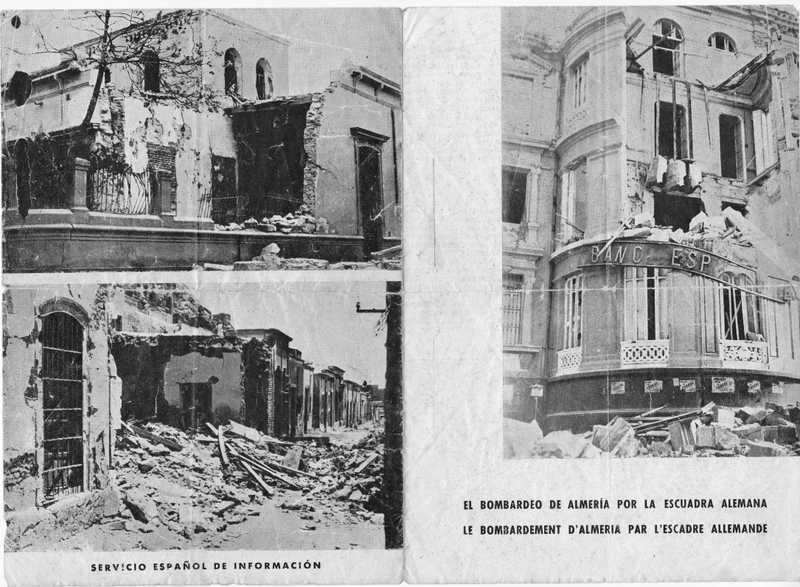 (I am attaching the article which I have had in my possession since 1938, with photos of the devastation, and the article (in Spanish and in French). Hi! 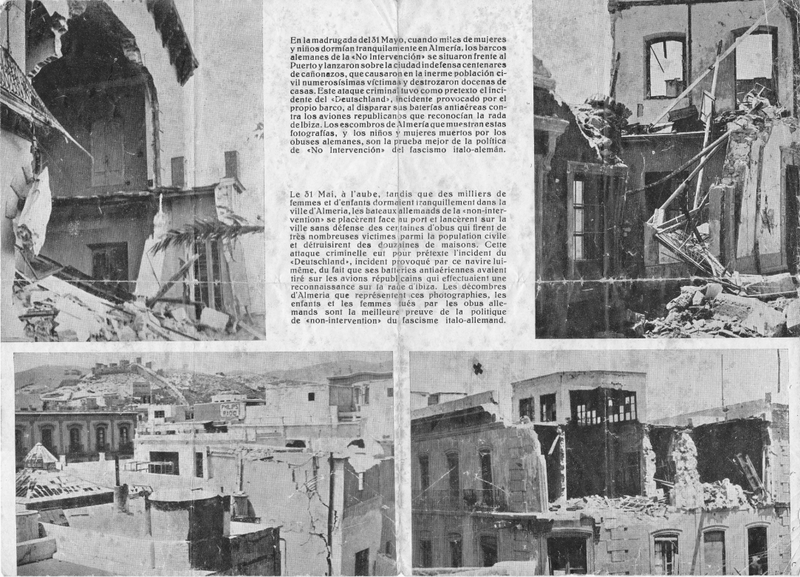 Could you say me which the original source of this article and photos about the Almeria’s bombing?